It has been six weeks since my last update. I would apologize, but with all the blogs and emails and distractions on the Internet superhighway these days, I’m sure you appreciated the lull. I know I did! With that said, I have all kinds of fun plans for 2011. Before I get ahead of myself, though, I’ll be taking this week to post images and stories from my most recent survey trip to Southeast Asia. Penang’s finest coffee, sold at The Coffee Tree. Walk in and try 10+ flavors like charcoal grill, hazelnut and tiramisu, as well as a durian chocolate, dried fruit and a number of other treats. Free samples. Yes. Norman worked in the shipping industry for 20+ years as a branch manager for UPS, living in Mexico for a while. For the last three years, he has been working as a tour guide. A great companion, very knowledgeable and passionate about Penang. View of Penang from the Kek Lok Si Temple, where a 120ft tall buddha, made entirely of bronze, overlooks the island’s coast. The aroma of incense permeates the halls of the temple. The Temple of 10,000 Buddhas. The conical statue in the middle of the image is a series of smaller Buddhas. 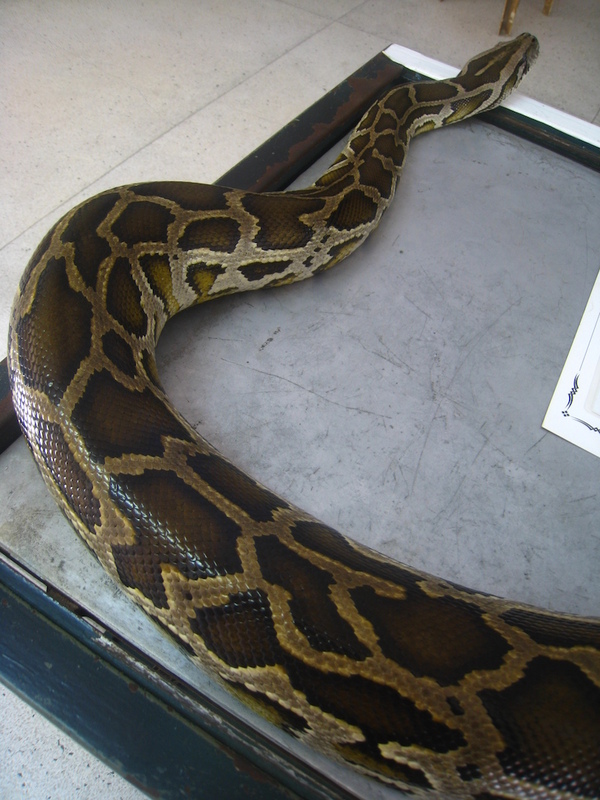 At Penang’s Snake Temple, pit vipers–docile from the incense–lounge freely in the plants and shrubs. Nasi Lemak, the “national heritage” of Malaysia. Roasted peanuts, dried anchovies, coconut rice, a hard-boiled egg, sambal (a spicy sauce) and chicken. Jalan Alor, an entire street of cheap and tasty hawker food. Open-air chairs and tables make it a great place to people watch, drink and socialize with both locals and foreigners. At the Morino Kaze fish spa, where “Dr. Fish” from Turkey, Syria, Iraq and Iran nibble off the dead skin and bacteria from your feet. A thirty minute session of the tickles. Supposed to accelerate blood circulation and promote metabolism. 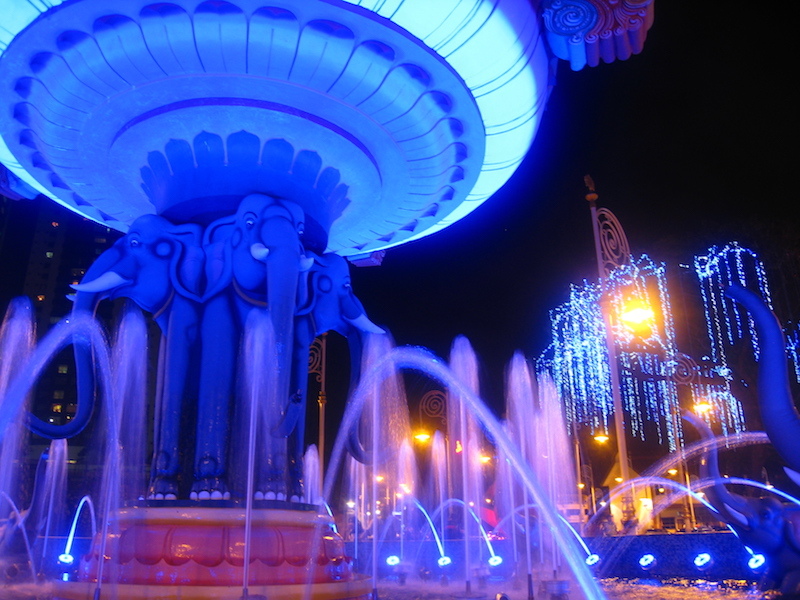 Little India, full of music and fountains and lights, was gearing up for the Deepavali (Diwali) holiday. In Little India, roses, curry houses, silk and textile stores, frame and bridal shops and jewelry shops come together in a wild, cramped and colorful atmosphere. Outside the Batu Caves, a limestone hill with a series of caves and cave temples. 272 steps–I counted them all. 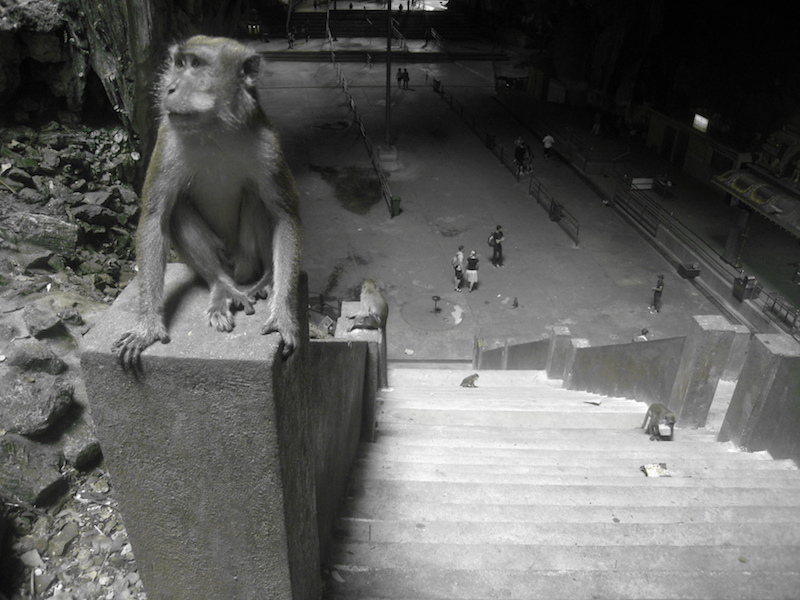 Inside the Batu Caves, monkeys scatter about. 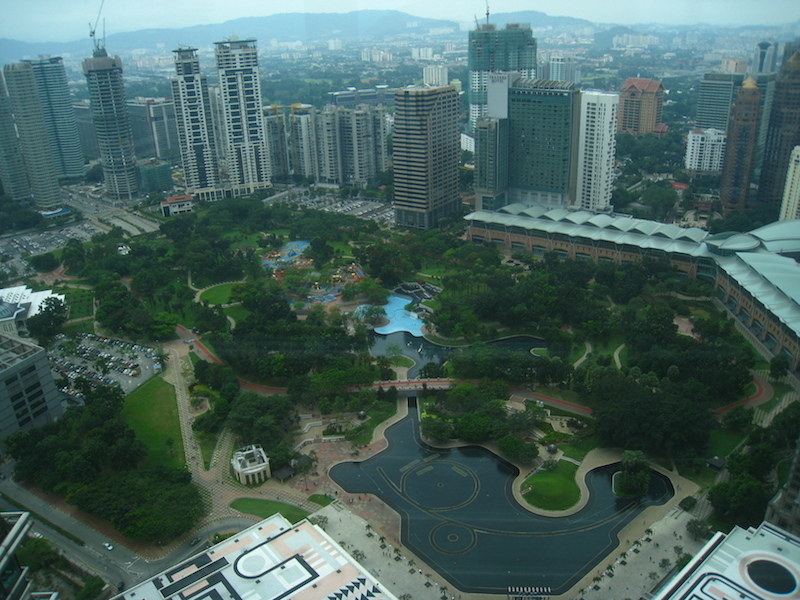 A view of the KLCC park from the Petronas Towers Sky Bridge. From the other side of the Sky Bridge, one the Petronas Towers hugs the right side of the image. Sweet photos! 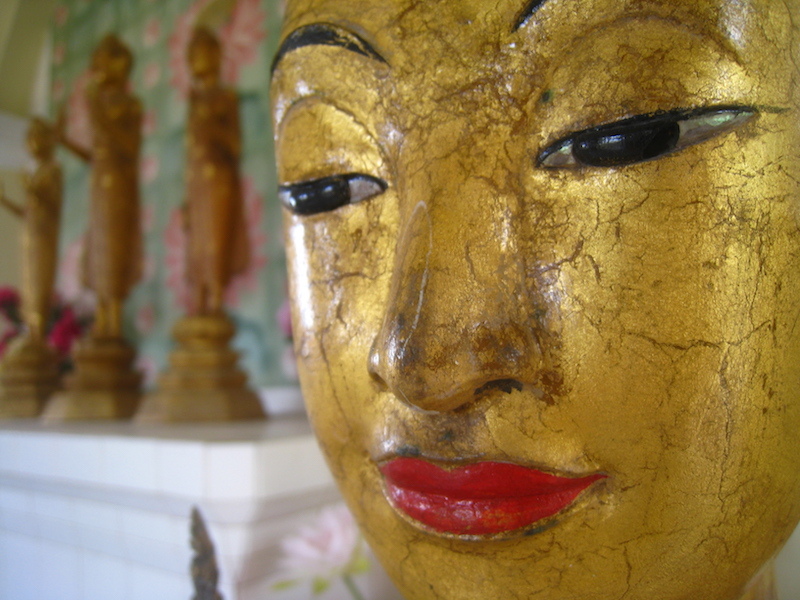 I especially like all the Buddhist sculptures – very cool. Thanks Tony! Apparently I missed out on some cool temples in KL. I love photo posts like this. They get me much more excited about a place then simply reading about it. And my fascination with that part of the globe increases once again…. 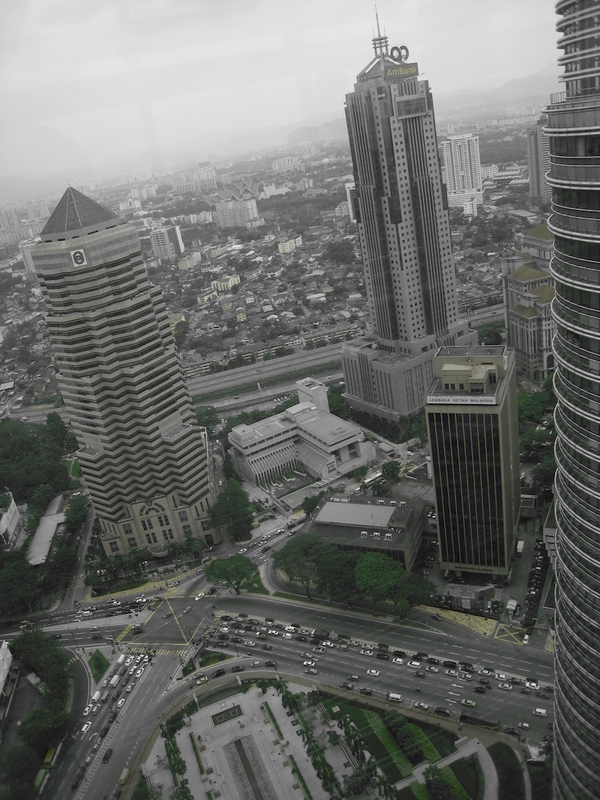 Ah, photos from the Petronas Towers. Been waiting for these! As for the rest of the photos, fantastic as always. Gotta say, though, that snake place would scare the living bejeezus out of me. Incense or no I don’t need any of those vipers falling out of a tree onto my head! In the Snake Temple, I nearly bumped into a few of the trees. I don’t understand why they don’t have fences! Or ropes! Come on, Malaysia, let’s think here. The photos from the Batu Caves are unreal. I’m definitely adding that to my list of places to see. Don’t know much about Malaysia, is it cheap to get around compared to nearby countries? Yep, though I found Thailand much cheaper to get around. Both Bangkok and Kuala Lumpur have excellent public transportation. When those monkeys see us humans, do you think they also say to themselves, “You’re just like us!”? Maybe they’re there fascinated by us. Awesome photos. I will be in KL in February when I fly on my one-way ticket on Air Asia so this post has been useful! What do you think about the food? Nasi Lemak looks interesting; it reminds me of Indonesian food. One-way ticket? Good man. Nasi lemak was fun to try, though it wasn’t my favorite. I enjoyed prawn curry more. Many of the KL malls have awesome food courts, and hawker stands are strewn throughout the city. You’ll definitely eat well! Ps. I need a little Alan time. I’ve been going through withdrawal. wow ! great series of shots, amazing temple! Thanks for sharing these pics. V good ones. These pictures are absolutely gorgeous! I visited Penang a few years ago and it was one of the most fantastic places I’ve ever seen. Beautiful and the people are so friendly! “At the Morino Kaze fish spa” This may be the strangest thing in all of your photos, all of which are beautiful, by the way. Is going to the fish spa something the locals do or is it just for the tourists. These are some amazing pictures. I’m curious, how much did it cost to use Norman the tour guide? Oh my Gosh! 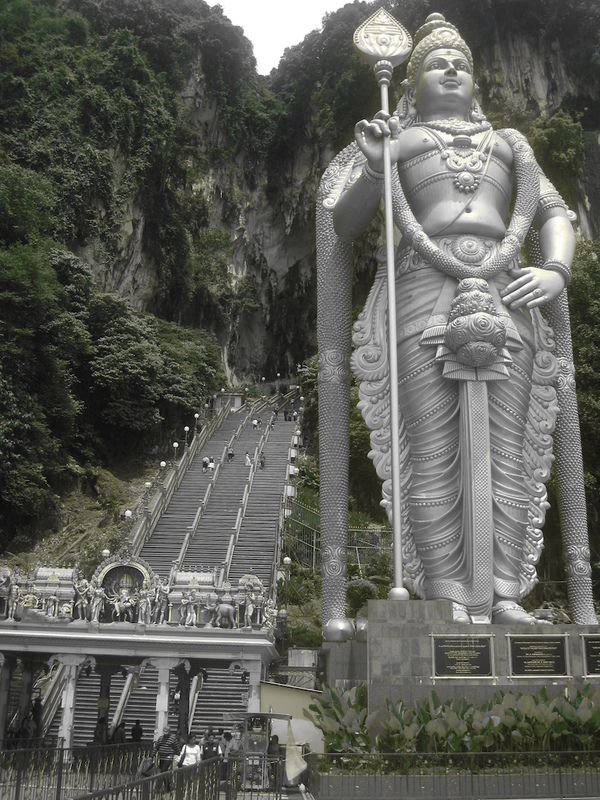 The statue outside the Batu Cave is a breathtaking!.. I could imagine the monkeys roaming around inside the cave. How much does it cost to enter in the cave?